Home of the world's iconic sports car. Great days with great friends in great cars ... on great roads! The MX-5 is the world's most-raced sports car, and motor sport is a great way to experience all your MX-5 can do. Mazda MX-5 Club members participate in the NGK Victorian Motorkhana Championship at venues around Victoria, Deniliquin and Mt Gambier. NatMeet is the national, biennial gathering of Australia’s Mazda MX-5 Clubs. The next one's in the Hunter Valley, NSW, in April 2020. We were there for the launch in Monterey! For upcoming Club events, please see the Calendar page. Our Club includes MX-5 owners from throughout Victoria, Tasmania and even a few from southern NSW. Each month we have several Club events covering the broad spectrum of MX-5 enjoyment. Join our thriving Motor Sport group and improve your skills at Phillip Is, Winton, Sandown, Broadford or Wakefield. Love your MX-5? Want to spend time enjoying it with like-minded people? Then join the Club! Early model Mazda MX-5s are now eligible for the Victorian Club Permit Scheme. Find out more. Buy, swap and sell MX-5s and related items. The Trading Post is open to non-members too! Visit the Club's photo gallery Photos: If you have photos of a Club event that you would like added to our SmugMug gallery, please click here to email them so that Bob de Bont can upload them. Want to see more? See all videos on our media page. Recognised as one of the best car club magazines in Australia. Members only! Click below for the Club's current motor sport calendar. Click here for the Club's calendar of events. 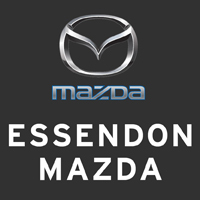 See our great range of Club and Mazda merchandise.